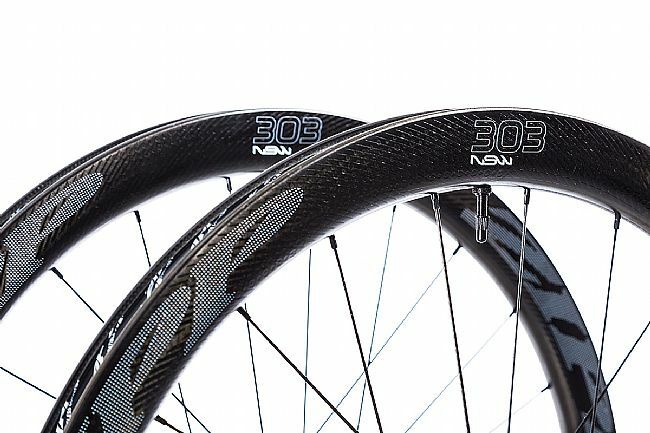 These Zipp 303 NSW Tubeless Disc wheels are labeled Nest Speed Weaponry as they come from the very upper echelons of Zipp’s "Nest" research and development division. 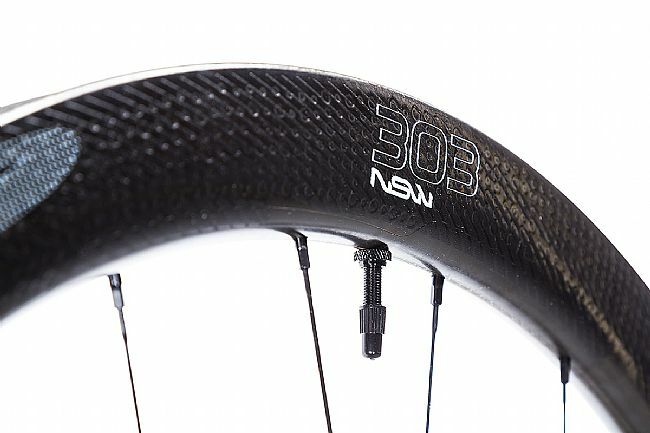 Using the class-leading Firecrest rim-profile as a starting point, these 303s use a revised carbon layup that not only makes it lighter than ever but also stronger, too, creating a wheelset that can handle the rigors of everyday training rides and still cross the line first come the weekend. An updated ABLC™ SawTooth™ dimpling pattern for even better aero efficiency and crosswind stability. ImPress™ graphics makes an aesthetically subtle but significant upgrade performance-wise by printing the logos directly onto the wheel so the work of the aerodynamic dimpling is unaffected unlike with traditional wheel decals. 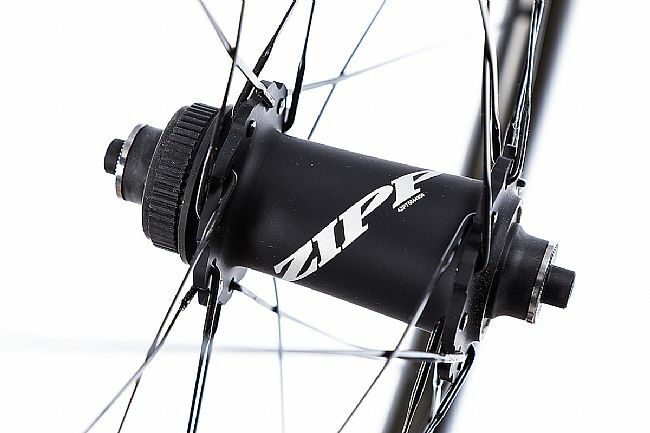 Down from the Zipp 303 NSW’s 45 mm deep rims, the 24 front and rear Sapim CX-Ray spokes are laced to an improved Cognition™ Disc hubset. The rear uses Axial Clutch™ technology that reduces drag by using a magnet-operated 36-tooth freehub mechanism that disengages when coasting. 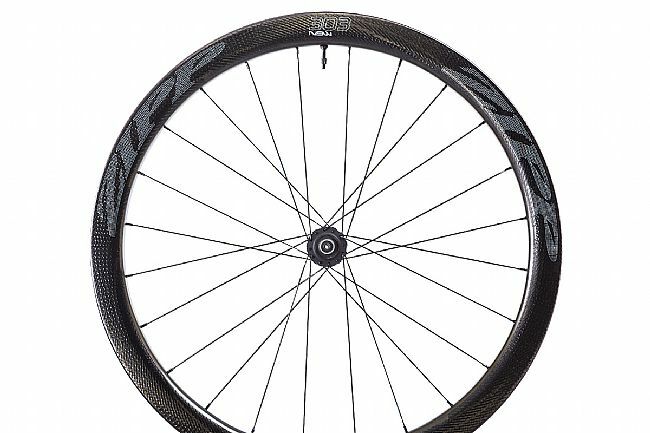 It also features star-shaped flanges out back along with a scalloped hub shell on the front that serves to reduce the loads placed on the bearings for extended longevity and smoothness. Of course, all the speed in the world wouldn't mean much if the braking was sub-optimal, and thanks to the Center Lock rotor compatible-hubs, these wheels will provide all-season, all-terrain control. 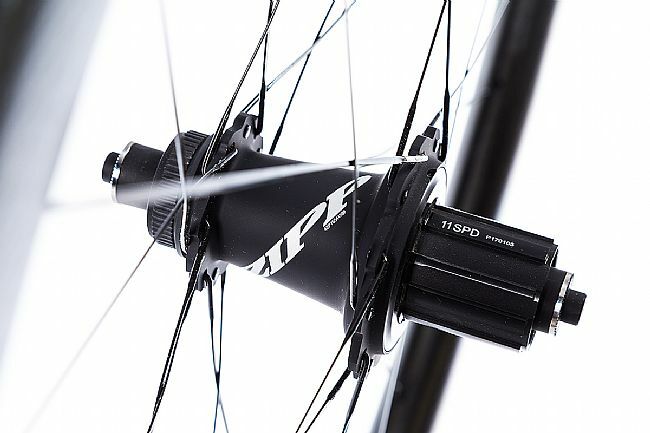 Includes Zipp Tangente Quick Release Skewer, individual wheel bags, tubeless valves (factory installed), tubeless rim tape (factory installed), valve core removal tool, Cognition thru-axle caps to fit 12x100, 15x100, and 12x142 dropouts, and a 11-to-10 speed freehub body spacer. 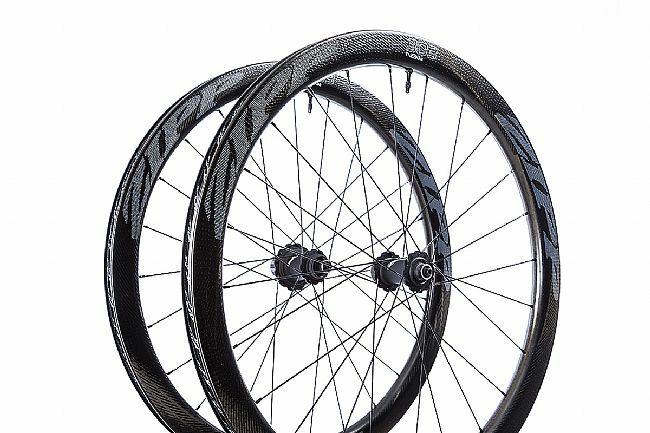 45mm-deep aerodynamically optimized wheel with road tubeless and disc brake compatibility. ABLC™ SawTooth™ dimpling pattern for even better aero efficiency and crosswind stability. 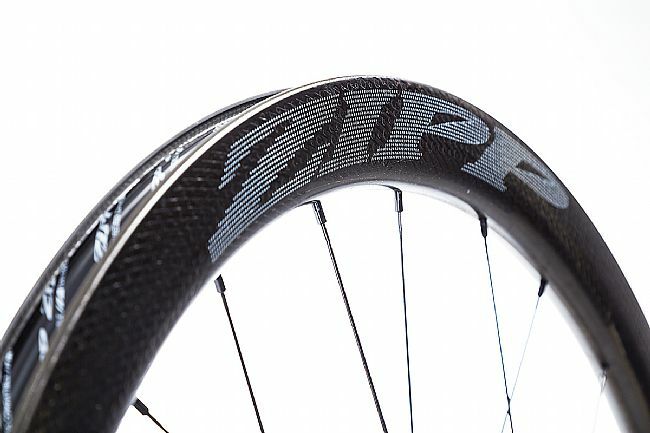 ImPress™ graphics print logos directly onto the wheel so the work of the aerodynamic dimpling is unaffected. Rim Width 21mm (internal), 28.9mm (external). Front Axle: Quick Release, thru-axle compatible with included 12x100 or 15x100 caps..
Rear Axle: Quick Release, thru-axle compatible with included 12x142 cap. Skewers: Tangente Quick Release Skewers. Claimed Weight: 720g front, 810g rear, 1530g set. Great look, come with two really cool wheel bags. Roll nicely. Are they worth the money? You decide.